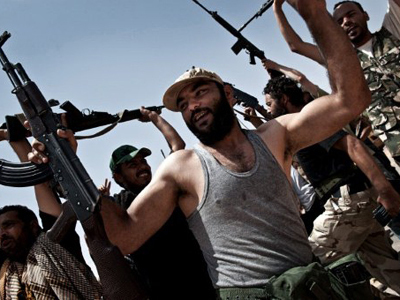 Libyan rebels have planned how they will rule the country after Muammar Gaddafi leaves the scene. The colonel, however, seems determined to stay in control of Libya regardless of NATO bombing and diplomatic bargaining. The plan, leaked out to the British newspaper The Times, gambles on a mass uprising in Tripoli, which would force Gaddafi to leave. The 70-page document puts this scenario as more likely to happen than a military takeover of the city or the Libyan leader’s death in an air strike. With Gaddafi no longer in control, his loyal security forces would eagerly switch their allegiance and side with the Benghazi-based transitional council, the plan says. It adds that some 800 of them have already secretly agreed to defect and become the core of new Libya’s security agencies. The plan doesn’t elaborate on prosecution of those suspected of crimes under Gaddafi’s regime, which one would expect from a new government. Key to the council’s strategy will be the creation of a 10-15,000-strong military force, which is to quell any remaining resistance from Gaddafi loyalists. The troops will be paid for by the United Arab Emirates, the plan suggests. They should be recruited amongst Libyans living in the north-west of the country, Tripolitania, so that their presence is not erroneously taken as a foreign occupation by the locals, says the document. The plan also involves a $550 million fuel aid plan for Tripolitania. The aid would be provided by the UAE, Qatar and Turkey and along with humanitarian supplies from the United Nations is to relieve the post-war settlement. The plan, which was prepared with contributions from Britain and other western nations, doesn’t give an exact deadline for Libyans in Tripoli to start an uprising. Aref Ali Nayed, one of the Libyans behind the document, told The Times that what the British journalists saw was just a draft, while a more comprehensive roadmap is currently being worked on. 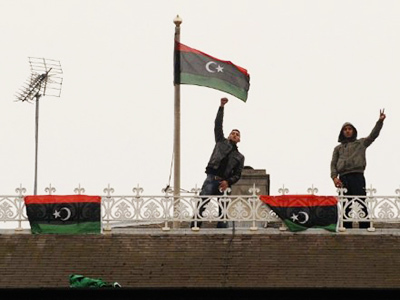 While the rebels envisage a post-Gaddafi Libya and how it will be governed, the war continues, with no side gaining a decisive advantage. 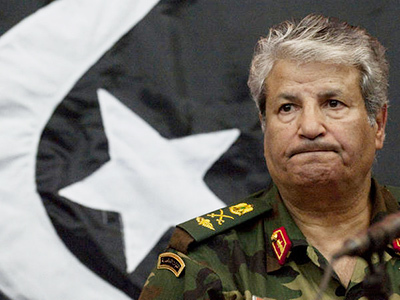 The commander of the NATO force which supports Libyan rebels, insists the operation is not stalled. Canadian Lieutenant General Charles Bouchard said he disagreed with the use of the term “stalemate” in describing the situation. "How do we define stalemate? 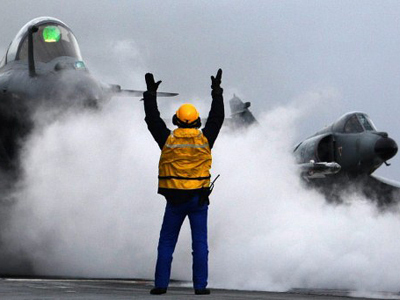 If we judge it against perhaps the operation in Iraq one would say, 'Well, it's certainly not as fast,' but from my perspective, and I know that of (NATO Secretary General Anders Fogh Rasmussen), that this is not a stalemate but rather a slow process," he told Postmedia News. Libyan forces loyal to Gaddafi managed to retake the town of Bir-Ghanem, which was captured by the rebels on Saturday, Tripoli announced. The town ‘s location is strategically important, and controlling it is necessary if rebels are to launch a full-scale offensive on Tripoli. Rebel sources deny the loyalist reports and claim Bir-Ghanem is still in their hands. ­Despite their far-reaching plans, the rebel Transitional Council is less popular with the Libyan population than its enemy – the country’s leader Muammar Gaddafi, Mahdi Darius Nazemroaya, from the Center for Research on Globalisation, told RT. ”The population has gathered around Muammar Gaddafi as the leader of this country,” he said. “It is actually the Transitional Council which is in danger of being ousted by the Libyan citizens in the east. “There have been riots against them. There have been movements against them and NATO has militarily intervened to stop this,” Nazemroaya added.